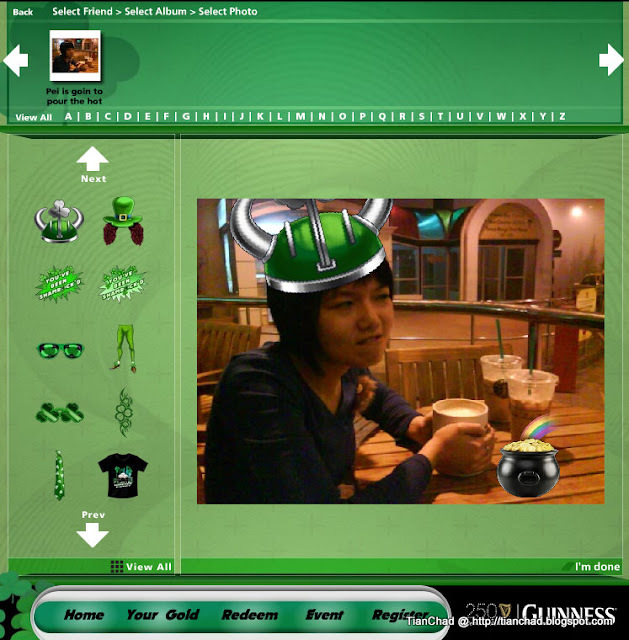 Are you looking forward to attend a St Patrick’s party?? 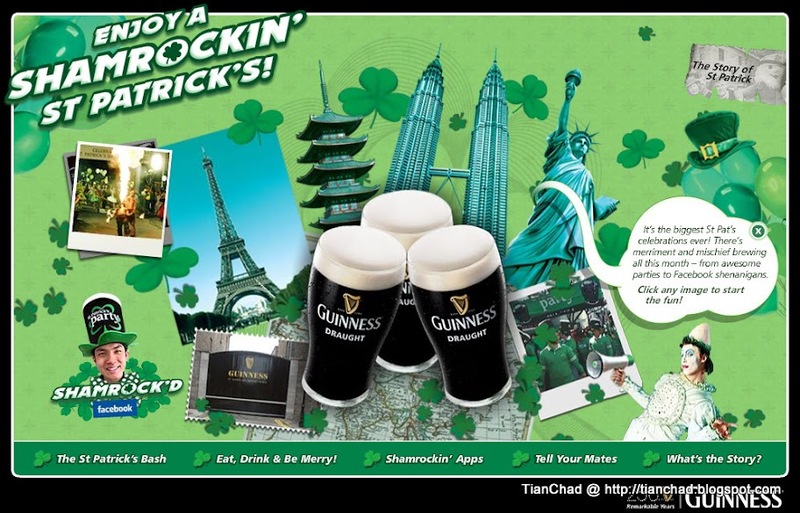 In the month of March, GUINNESS® is bringing TWO St Patrick’s Day celebrations, in 1 Utama, PJ and Juru Auto City, Penang on March 13 and 14, 2009 respectively. "Be sure to come prepared for two shamrockin’ evenings featuring world class acts like the Skybombers, a rock band from Australia and Corpus, an acrobatic performance act from Holland, led by celebrity emcees Daphne Iking & DJ Landslyde in KL, Hoong Siew Wei & DJ Landslyde in Penang, as well as the must-have’s of any St Patrick’s Day, including GUINNESS®-infused cuisine, exciting games and of course, GUINNESS® Draught for that unbeatable GUINNESS® St Patrick’s experience." 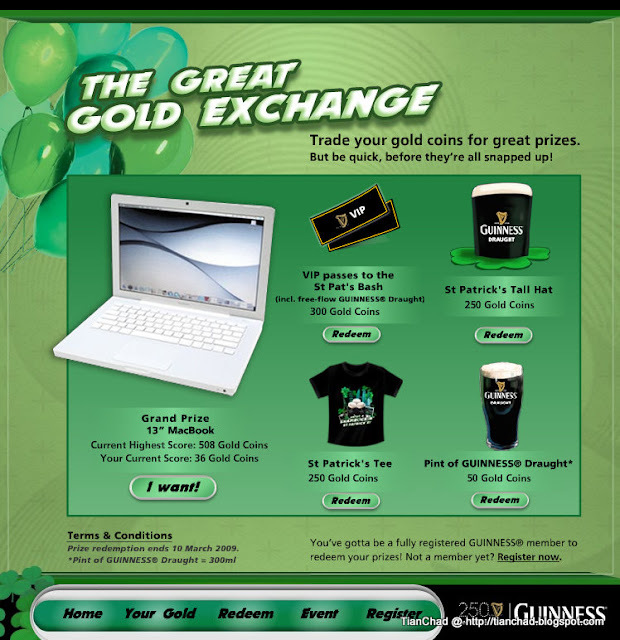 When you are on http://www.guinness.com.my, find the FB application at the bottom left. 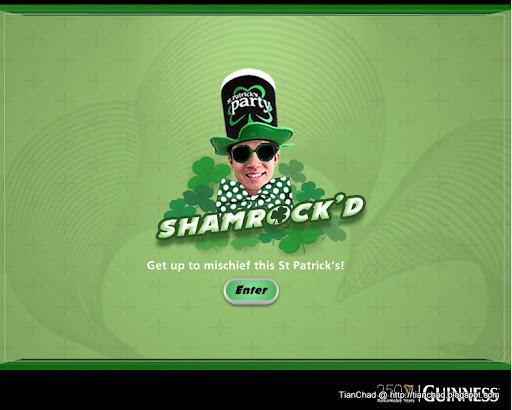 First, add the application and ready to Shamrock'd your friend! 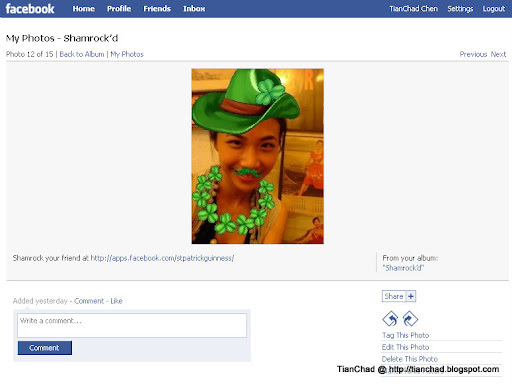 You can even share your Shamrock'd photo on your FaceBook Photo Album with your permision! Different amount of gold coins will enable you to redeem different gift! Saw the Grandprize 13" MacBook?? You gotta Shamrock'd very hard to win that MacBook!! Current Highest Score is 508 Gold Coins!! So if you want to win a MacBook, start Shamrock'D now because redemption ends on 10th of March 2009! !